Dr Baillargeon completed his PhD in Modern British History from the University of California - Santa Barbara in 2018. 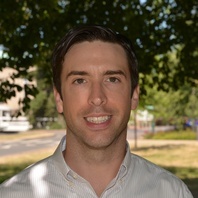 His dissertation, entitled " 'A Burmese Wonderland': British World Mining and the Making of Colonial Burma", focuses on the Burma Corporation, a transnational mining corporation whose operations were located in the Northern Shan States of British Burma during the early twentieth century. His work has been supported by a Mellon Fellowship from the Institute of Historical Research in London, a Dissertation Fellowship from the University of California Center for New Racial Studies, and a Mellon Dissertation Completion Fellowship from the Council for European Studies. He has also recently had some of his work published in Abolition and Slavery. Dr Baillargeon is leading Stream 3 ("Spaces of Occupation") of the COTCA Project.